'The Hunting Ground': An interview with filmmaker Amy Ziering reveals it wasn't difficult to find survivors of campus sexual violence who wanted to tell their stories for the documentary film. "The sad thing is, there are way too many survivors," Ziering said. Director's Viewpoint: Karen Baker, Director of the National Sexual Violence Resource Center, talks about a busy Sexual Assault Awareness Month in April 2015, the theme of which was "It's Time to Act: Safer Campuses, Brighter Futures. Prevent Sexual Violence." Prevention preparedness: Are coalitions in the U.S. ready to lead primary prevention, campus-based efforts? 'From compliance to commitment': The North Carolina Campus Consortium hosted its first-ever Campus Sexual and Intimate Partner Violence Peer Educator's Summit. Sexual Assault Awareness Month: Photos from 30 busy days of activism. Other topics covered in this issue include: effective social media advocacy, The Six Pillars for Prevention of child sexual abuse, the 2015 National Sexual Assault Conference in Los Angeles, and more. Also included is a look at RESTORE Sexual Assault Service's prevention work in New York, a spotlight on Iowa's service transition, and four resources from the library that might interest you. This 9:30 minute audio podcast by PreventConnect highlights the work done by Binghamton University in New York. The University has worked with Greek Life, Athletics, and a wide variety of students across the campus to implement the 20:1 sexual assault prevention and bystander intervention programs. 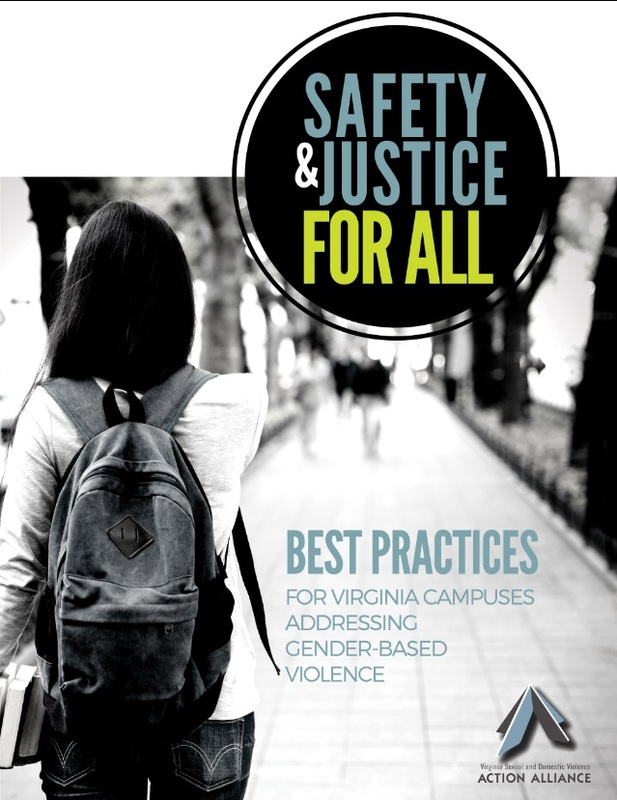 Recommendations, resources, and concrete examples for campus leaders interested in implementing a trauma-informed and social justice-oriented response to sexual assault, dating violence, stalking, and other forms of gender-based violence on campus. The Action Alliance created these recommendations based on more than 35 years of gender-based violence response, prevention, and policy work, as well as information gathered from a variety of governmental agencies, professional organizations, and survivor groups. Interactive versions feature live links to concrete examples and resources. Click here for the online interactive all campus guide. Click here for the high resolution print version of the all campus guide. Click here for the online interactive Community College guide. Click here for the high resolution print version of the Community College guide. Futures without Violence and the Avon Foundation brought together a National Campus Advisory board to provide guidance on the new guidelines set forth around Title IX in responding to sexual assaults on college campuses. This report, which comes from this gathering of experts, seeks to move the efforts of higher education institutions past complying with the guidelines to creating a culture of gender-based violence prevention and response. 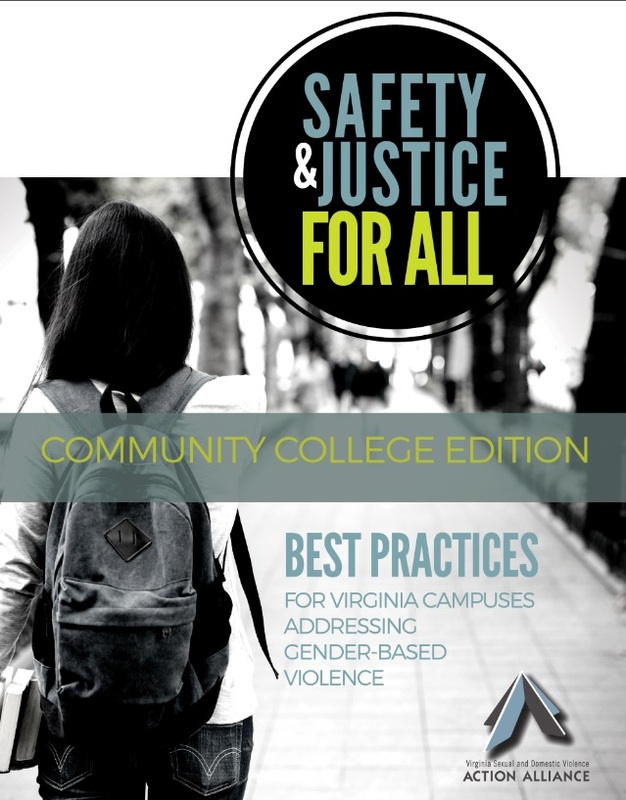 Excerpt: While legal requirements shape how campuses address gender-based violence, this document goes beyond the legal requirements and points the way to systems, practices and policies for leadership in prevention and response. It addresses intimate partner violence, stalking and sexual misconduct, recognizing that institutions may choose to have separate or integrated policies regarding these offenses. Although many campus policies, as well as the Dear Colleague Letter, address only sexual misconduct explicitly, intimate personal violence and stalking also contribute to an environment hostile to women and are often interrelated.